Exprt Revision Hip is a full-line, modular femoral stem inspired by the clinical success of Wagner style predecessors. 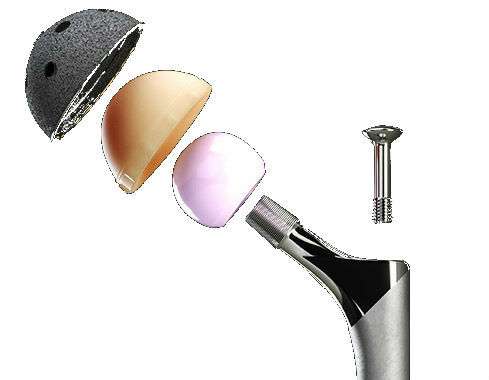 The system’s intuitive design and premium quality is based on extensive research and development that redefines revision arthroplasty by offering an anatomically-inspired design that has an emphasis on efficiency and strength. 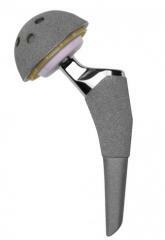 DJO Global extensively researched femoral morphology to design a platform that is ideal for the range of femoral canals encountered in revisions. Streamlined instrumentation means less money and time spent on sterilization, less overall time in the operating suite, and less storage space - appropriate for both the hospital and ASC setting. 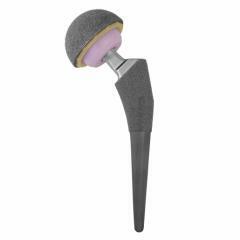 The Exprt Revision Hip consists of modular shot peened, distal femoral stems and proximal bodies secured with a taper junction and bolt. Successful fatigue load testing was carried out at 2,300N (517 lbs) to 5 million cycles on worst case components.4 To further challenge the construct in this study, the potting depth was increased to 90mm below the center of the femoral head to create a larger moment arm and higher stresses. At a time when modular head-neck junction features are being questioned for serving as the catalyst for fretting,5 remaining consistent with DJO’s clinically successful femoral stem 12/14 trunnion continues to be a noteworthy feature of the DJO hip portfolio.